Emerald is a gemstone that is green to dark green. Emeralds include beryl silicate minerals (containing beryllium) and the green color is caused by chromium trace (Be3Al2SiO6). The presence of vanadium and iron that accompany chromium trace will cause a variety of zones in the green color. Emerald hardness is high (7.5 from a scale of 10 Mohr). The best emerald comes from Colombia, because the green color of emeralds is very sharp, even towards dark green and crystals. Different if Emerald from Brazil or Russia has a lighter green color. Emerald symbolizes elegance, coolness & authority for the wearer. For more than 5000 years, emerald has become one of the most desirable and valuable colored gemstones. Ancient civilizations in Africa, Asia, and South America independently discovered emeralds and made them their highest gemstones. Today Emerald, together with Ruby and Sapphire, forms "big three" of colored stones. "Big Three" produces more economic activity than all other colored stones combined. In 2011 the value of Emerald imported to the United States exceeded the combined Rubies and Sapphire values. The emerald value of imports also exceeds the value of all colored stones outside the combined "big three". Of the raw diamonds obtained from mining, only 40 percent were declared quality without many fingerprints and judged to be usable. While 60 percent is wasted or made as a diamond sharpener plate. Natural fingerprints are another term for the condition of a diamond that is less than perfect. The common language is defective diamonds. But diamonds are high-value luxury precious metals. The manufacturing process and its origin are from the ground with a depth of hundreds of meters, making diamonds contain natural fingerprints inside and not on the surface. Diamonds are one of the most valuable tertiary items a person can have. If you save it as an investment in the future, its value will continue to rise. Understandably, diamonds are rare and expensive because they are not easy to mine. No wonder prospective investors need to recognize diamonds further to get the best quality as an investment. 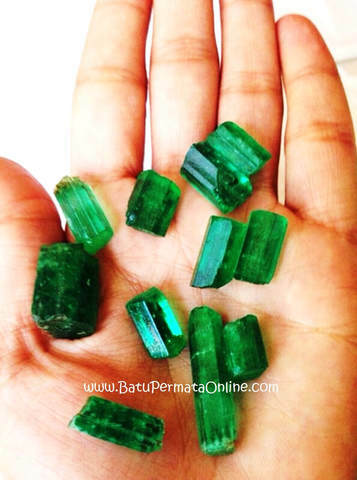 Beryl is a rare mineral with a chemical composition of Be3Al2 (SiO3) 6. Very rare because beryllium is an element that occurs in very small amounts in the earth's crust. It is normal for enough beryl to be present in one location to form minerals. In addition, conditions in which beryllium exists in significant amounts differ from those in which chromium and vanadium, the emerald green sources, occur. This is why emerald is rare and is only found in a small number of locations. 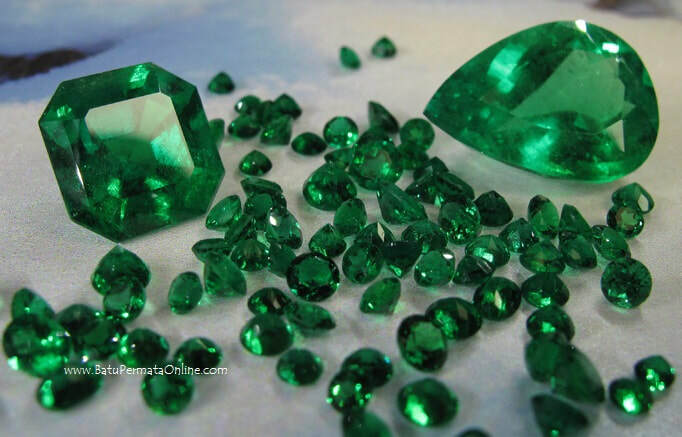 Today, most emerald production originates in four source countries: Colombia, Zambia, Brazil and Zimbabwe. These countries reliably produce a number of commercial emeralds. a small number of irregular production or production comes from Madagascar, Nigeria, Afghanistan, Pakistan, Canada, Russia and several other countries. Although conditions for emerald formation are highly unlikely, gems have been found in the diversity of rock types. In Colombia, a country that has supplied most of the world's emeralds, organic black shale and carbon lime, both sedimentary rocks, are ores for many emerald deposits. The shale is thought to be the source of chromium and beryllium which is thought to have been conveyed by rising liquid. Many of the world's emerald deposits have formed in the contact area of ​​metamorphosis. A granite magma can function as a source of beryllium, and near the carbon schist or gneiss can function as a source of chromium or vanadium. Emeralds are usually formed on schist or gneiss or margins of nearby pegmatites. Mafic and ultramafic stones can also function as sources for chromium or vanadium. Emerald is rarely mined from alluvial deposits. Emeralds are usually cracked stones that do not have alluvial resistance to survive a long distance from the source. Emerald also has a density of 2.7-2.8, which is not significantly different from quartz, feldspar, and other common materials found in river sediments. Therefore, it is not concentrated with high-density grains which are separated in the river and are easier to find by mining.